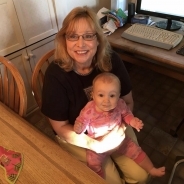 Hi I am Sheryl (Sherry) Reiber I live in Romeo, MI USA in a rural area in and old farm house outside the historic village of Romeo with my husband Tim and my dog Clio. I have 2 adult sons Matt and Nate. Nate is in last year of college and Matt is married to Brandy and has made me the grand parent of 6 wonderful grandchildren Maya 2, Aliya 3, step grand children Brennon 7, Alaina 12, Jayden 15, and James 19. My favorite subject to scrapbook is my family, especially my grandchildren. 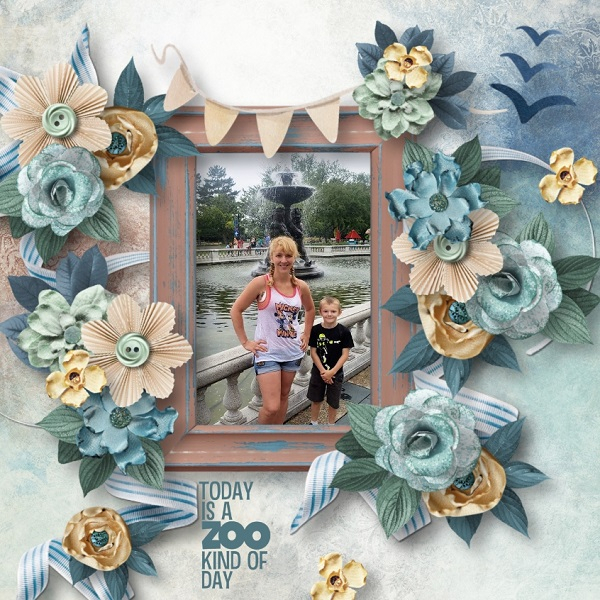 I have been digital scrapbooking about 13 years and I love it I am also on several ct teams and give classes to beginners in digital scrapbooking. I also enjoy rubber stamping, altered art, swimming, travel and spending time with my family and friends. "Boys Will Be Boys" by Ilonka's Designs is not only for boys who love trains and plains. There are enough elements in the Mega Kit to create all kind of scrapbooking projects. The whole collection collection is on sale with 25% off until February 15th.